This is a great, simple song to play! Use the chord of C illustrated throughout the song. Play it rhythmically on the beat with a flying thumb. 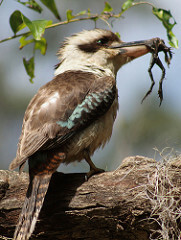 Oh....there is ANOTHER Kookaburra video...Click here to download it! For a little extra challenge, why not try playing the melody of this song?